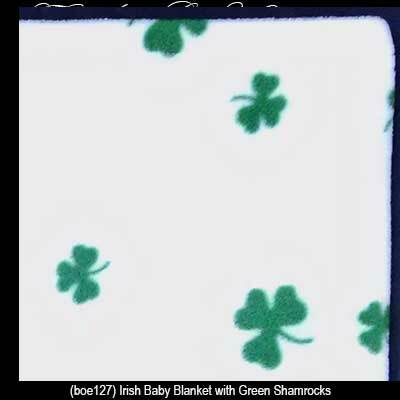 This super soft fleece Irish baby blanket features an all over printed shamrock motif. 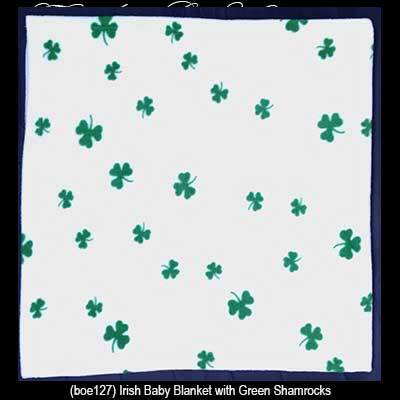 The white shamrock baby blanket measures 44" x 44" and is hemmed on all sides. This Irish blanket is made of 100% polyester and is received with a shamrock history card, complements of The Irish Gift House.